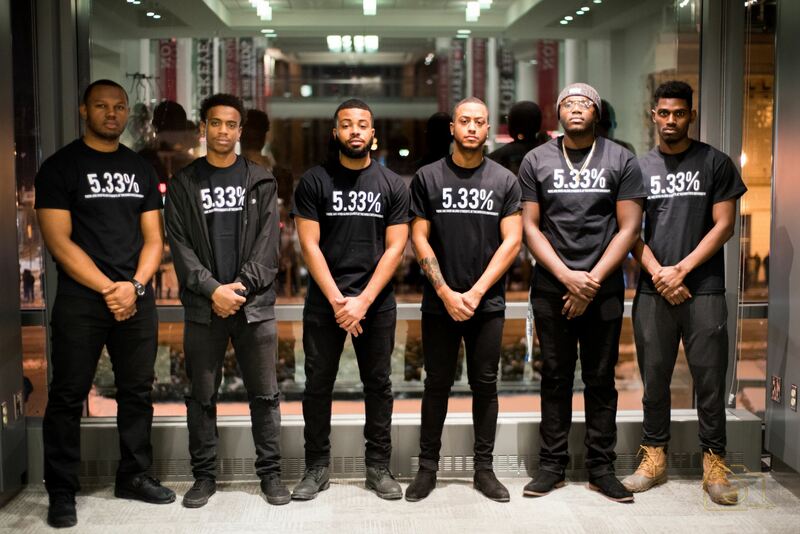 How many black men do you think you’ve seen today on Ohio State’s campus? Two? Three? Four? Keith Bell, a graduate administrative associate at the university, estimated he sees on average two or three each day; but for some students, staff and faculty on campus, it’s possible they don’t see any. The reason why it is rare to see an African-American man on Ohio State’s campus is because, when it comes to enrollment numbers, they’re virtually invisible. Ohio State prides itself as a diverse and inclusive institution. This year, the university welcomed its most diverse freshman class in university history, comprising of a record-high 1,542 first-year minority students. Despite this, the enrollment of African-American men remains low. African-American men make up less than 3 percent of the undergraduate student population, and less than 2 percent of first-year students on the Columbus campus. A Lantern analysis of Ohio State’s Columbus campus enrollment data from 2013-2017 shows the university has enrolled fewer than 130 African-American men in each freshman class. Out of the 7,136 first-year students enrolled in 2017, 129 were black men. For comparison, African-American women comprise 3.2 percent of the student body, which is 263 more students than African-American men. So, at a public, land-grant university that prides itself on diversity, why is enrollment of African-American men so low? 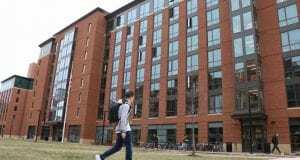 The inability to enroll more African-American men stems in part from a specific question regarding academic discipline on the common application that poses as a barrier and makes it difficult for African-American men to be given a fair opportunity to attend the university, according to experts. Additionally, Ohio State is selective in admissions. The objective to admit only the top students can keep the university from considering a more diverse pool. All of these factors lead to another problem that influences the perception of black men: a tacit stereotype that African-American men only attend college to play sports. Paris McGee plays a sport at Ohio State, but views himself not as an athlete first, but as a student. 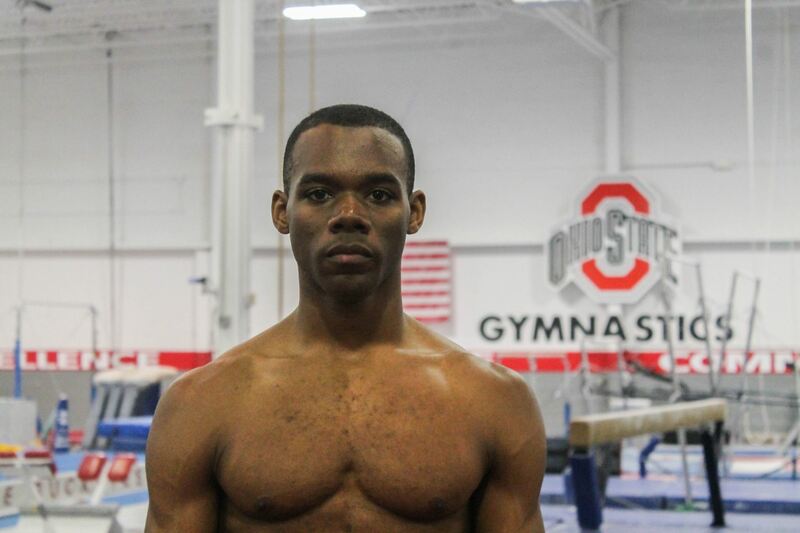 A fourth-year in journalism who also is on the gymnastics team, McGee said sometimes he’s often the only African-American man in his classes. 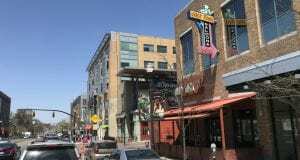 “Being the only black person in the classroom or being the only person of color, you feel very much a minority, and I think it’s unfortunate,” McGee said. While Bell said he didn’t think there was anything intentional “about not admitting black males,” the numbers present a troubling counterpoint to Ohio State’s push to increase diversity. According to undergraduate student enrollment data, the number of first-year African-American men has increased each year since Autumn 2014, but so has the overall undergraduate enrollment at the Columbus campus. This has kept the percentage of African-American men in the first-year student body stagnant for the past four years. 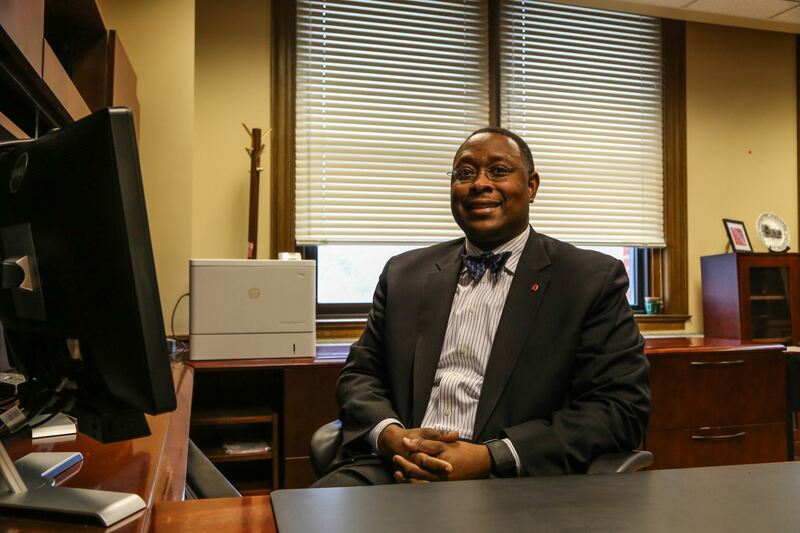 James Moore, Ohio State’s interim vice provost for diversity and inclusion, said this trend is nothing new at the university and across the country. The university has been pushing to increase minority enrollment, including the number of African-American students. However, the data shows Ohio State is continuing to struggle in admitting African-American men. This 2017-18 academic year, there are 1,200 African-American men at the university. In the past four years combined, Ohio State’s Columbus campus admitted 455 African-American men as first-year students. A large number of African-American men transfer from regional campuses or other schools, which is why the enrollment of African-American men is greater in comparison to first-year enrollment data, Johnson said. Ohio State uses the Common Application. This format has been adopted by more than 600 universities as the primary way to apply to college in an effort to obtain a larger applicant pool. Bell said the common application was supposed to help increase minority representation, but has hindered African-American men from successfully applying. Bell said one specific question on the Common Application can play a factor in limiting African-American men from being enrolled in the university. A former superintendent at Euclid City Schools in Euclid, Ohio, Bell said this question poses a barrier for school districts in areas comprised mostly of minority students that have a strict disciplinary policy. School districts vary in the actions they take in dealing with academic and behavioral misconduct, but the aggregate result is unfair to African-American men, Moore said. Districts comprised of primarily white students of higher socioeconomic status do not take such serious measures, Bell said, adding the leniency can give students a better opportunity of getting into college, despite having past disciplinary trouble, because they do not have to answer yes to the aforesaid question on the application. Johnson said applicants who answer yes to the disciplinary question are sent a form in which they are asked to provide additional information and include any rehabilitation and what they learned from the experience. Applicants who are not considered for admittance — the step when an application is reviewed for acceptance — will not have the question evaluated. Those who are considered for admittance into the university will have the disciplinary information reviewed prior to a final decision for admission, Johnson said. Ohio State’s high standards and selective admissions make it one of the top public universities in the nation. In the 2018 U.S. News and World Report’s college and university rankings, Ohio State ranked No. 16 for top public schools and No. 54 overall nationally. 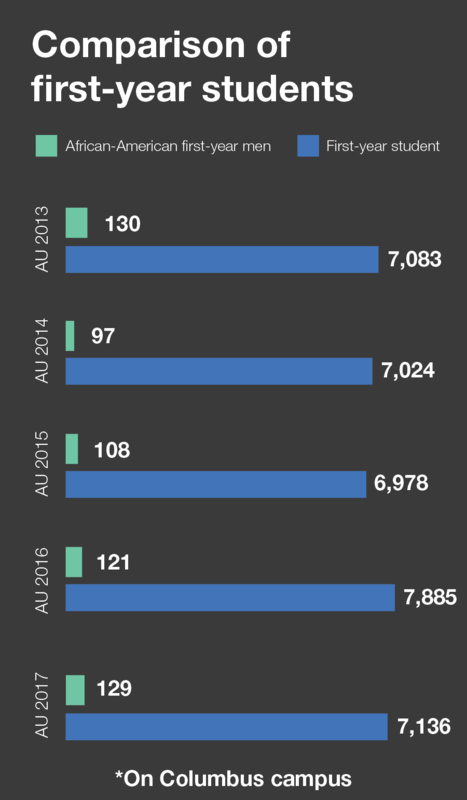 Grade point averages, ACT and SAT scores of incoming freshmen at Ohio State continue to increase each year. Because of the rising standards, there’s pressure to maintain a high academic standard due to the amount of money invested in the university and the large number of donors and contributors, Bell said. “There’s people who say if you allow students who have [lower GPAs or test scores] … then you dilute the experience for everybody else, so we’re not going to have them,” Bell said. In an interview with The Lantern, University President Michael Drake said Ohio State welcomes students of all backgrounds. “The more people from [the African-American] background and the more people from Latino backgrounds or people from other backgrounds who are underrepresented, the more students we can have from low-income backgrounds, the better to help all know that this is a place that we want people to come and to succeed,” Drake said. Not all school districts are equal in terms of funding per student, which can have an outsized impact on a students’ educational outcome. This systemic issue can have an even greater impact on groups that are oftentimes marginalized, which is seen in the enrollment numbers. “All I would say, it’s a reflection of the many inhibitors that prevent black males from successfully and seamlessly moving through the education pipeline,” Moore said. 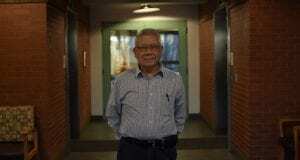 As a global institution that has built offices throughout the world, Cesar Seguil, former director of academic services in the College of Education and Human Ecology, believes the university should make a greater effort to reach out to its own community. “We’re not putting as much effort into infiltrating communities here, particularly communities of color and with that outreach,” said Seguil, who now serves as the program administrator of academic affairs in the College of Pharmacy. The university has implemented several outreach programs during Drake’s tenure as president. University administration recognizes the low enrollment numbers for African-American men and is looking for new ways to increase their opportunities for enrollment. Moore said efforts such as mentorship and social persuasion in these communities aren’t enough to combat the issue. Out of the 51,183 students in the Columbus City School District, 28,744 of those students are African-American, according to the 2014 Public School Review . Bell said it is hard to grasp why more African-American men, specifically those who live in Columbus, do not enroll at the university. “You can’t tell me that out of [roughly] 10,000 black males in Columbus City Schools, there are not 500, 400 or 300 that would be eligible and be able to [succeed] at Ohio State University,” Bell said. 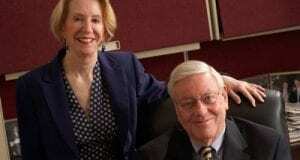 Moore said the general public needs to remember why higher education was created in the first place. The assumption that black men seen at a renowned university must be on a sports team has been an ongoing stereotype. In 2016, 9.2 percent of Ohio State’s African-American male population were student-athletes. 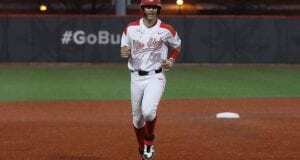 Although Ohio State receives significant recognition for its NCAA Division I athletic programs, athletes are also students at the university. He said the university only recognizes African-American men through their athletic achievements. The majority of the Ohio State football and basketball teams are African-American. In 2016 the football team had 70 African-American men (53 percent), and the basketball team had 10 (76.9 percent). Sports such as gymnastics, ice hockey, volleyball and tennis each had one. For many African-American men at the university, this is an issue they have experienced throughout their scholastic journey. The lack of representation for African-American men at Ohio State underscores the lack of opportunity African-American men are given. McGee said African-American men shouldn’t be given opportunities solely because of their athletic ability. “Being the only black person in the class, I feel that I’m the one who may have an opportunity that many people could [have], but they don’t have that opportunity because it’s not given to them,” he said. He added that the idea that African-American men are only successful in athletics diminishes the hard work that many students put in to excel at the university. Very few athletes play professional sports after college. Last year, seven African-American men from Ohio State went to play in the NFL. The basketball team had no one enter the NBA. “In terms of being an athlete, I know that five, 10 years down the road, the successful job that I get, I’m going to get because of my education, not because I was some athlete,” McGee said. Seguil said there are many resources at Ohio State to further diversity and inclusion, but it is not reflected in the campus’ racial makeup. Ohio State is trying to attract and support minority students through various initiatives, Johnson said, including the American Talent Initiative. ATI comprises more than 80 schools and was set in place in December 2016 to enroll 50,000 low and moderate-income students at top colleges and universities in 10 years. Additionally, Ohio State offers Buckeye Student Leadership Academy, a trip provided to high-school seniors to experience college by spending three days at the university participating in activities and interacting with students, staff and faculty. This opportunity is given to first-generation, rural, and/or underrepresented minority students. 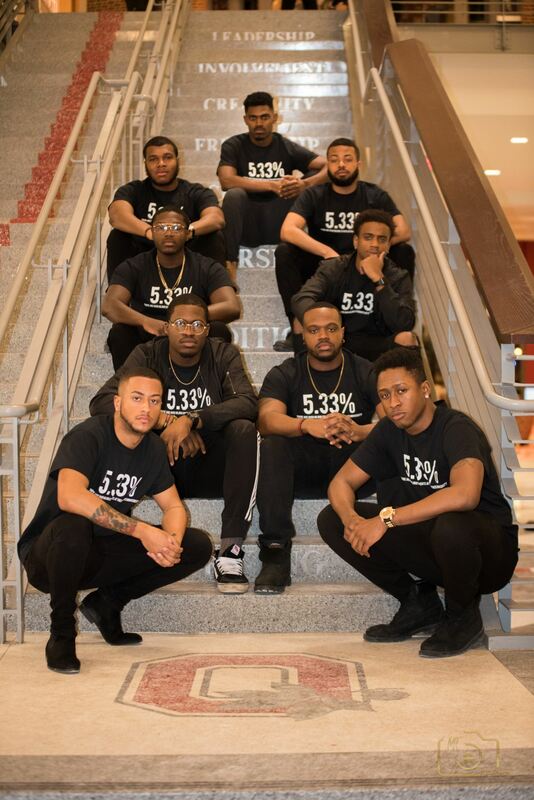 Ohio State also is home to nearly 200 student organizations that identify as ethnic or cultural based, including the Todd Anthony Bell National Resource Center on the African-American Male (BNRC). A student-based extension of the BNRC, Band of Brothers, is founded on the principles of scholarship, service, professional development and brotherhood, and is an organization comprising of primarily African-American men. The BNRC is not involved in the recruitment of African-American men to the university, but has made efforts in helping these students succeed at the university once they enroll. Moore, who serves as the executive director of BNRC, said there are nearly 500 full-time African-American male students involved, with a cumulative GPA of 3.0 or higher. “Are we where we want to be? No, but when you look at where we started and where we are now, I would argue it’s very few institutions of higher learning at this level have made the kind of progress [BNRC] have,” Moore said. The BNRC works to make systematic changes to foster academic success in young black men that extends beyond the university. Even with all the university’s efforts to increase the number of minority students on campus, the enrollment of African-American men has remained a significant problem. “I don’t think people realize how disproportionately low these numbers are,” Bell said. As the third-largest university in the nation, Ohio State has the ability to be the center of opportunity to a large amount of people. Ohio State is considered a PWI — predominantly white institution. People who are a part of the majority population can be blind to the lack of minority students. “You have to show them the data to show them something needs to be done and something needs to change,” Seguil said. As a member of the university staff advisory committee, Seguil relays staff issues and possible solutions to university officials. This is one way in which concern about minority representation is brought to the university’s attention. Moore said the issue is not a lack of push, but more of a lack of joint forces working together to make change. This issue is not only prevalent at Ohio State, but also other universities across the nation. The enrollment of African-American men has been an ongoing issue. There are many efforts set in place by the university, but none has had a big enough impact to bring about significant change to this concern. While the numbers are low, university leaders said Ohio State is looking to the future, continuing its work in attracting and retaining African-American men. Editor’s note: Paris McGee previously wrote for The Lantern as part of his journalism curriculum. This article has been updated to reflect 1,542 minority freshmen were admitted in Autumn. It previously stated 1,452 were. “The inability to enroll more African-American men stems in part from a specific question regarding academic discipline on the common application that poses as a barrier and makes it difficult for African-American men to be given a fair opportunity to attend the university, according to experts. I appreciate Bell addressing the obvious: secondary education is differential and capricious towards the black community. What I don’t see as helpful is this top-down decree towards the Community about how many students should go to school. Economics, family problems, and even simple choice may preclude many of our people from attending. Perhaps if Bell were willing to integrate the black community into the same standards and policies of the mainstream, we’d choose to come and hear more about how we should forget about problems at home and come sit in class. I graduated from Ohio State in 1978 and then recruited students in the Business and Engineering schools in the mid- to late 1980’s. Upon my return to campus, I perceived that there was a noticeable drop-off in the mix of African- American students as I walked across campus. It felt different. It would be interesting to compare the mix of students from the early 1970’s thru the 1980’s (and beyond) to see when the mix of Ohio State students began to change. Follow-up note: As a result of my observation, I then solicited funds for a minority scholarship from my firm. In 2005 it was 8%. So what happened in the intervening years? When did they go to the common application? Here is the answer. Most black men grow up with one parent. 70% of black kids are from single parent homes. Take a look at Asian families. It’s the opposite and their kids thrive. Black men need to raise their kids. But the admin and media won’t talk about responsibility. These kids need parents and stability. It’s easier to blame others though. When you have situations like mass incarceration of Black men and the cradle to prison pipeline, how do you expect Black families to succeed? You can’t blame Black men when there are systems made to disrupt their success. dont break the law then? The black fathers are there to make the kid. They aren’t in prison then. Don’t break laws. Don’t go to jail. Is it harder to be a black male in the USA. Yes. It’s hard for a poor white kid with a dead beat father as well. It’s about responsibility. 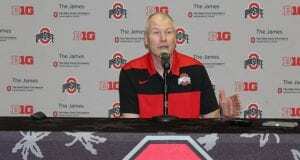 Until that changes, OSU can’t make changes. Do some research on systematic racism. Both of you need to do some research on systematic racism. Professors and administrators from higher education are among the most vocal and most aggressive about complaining about the lack of African Americans in American businesses, safety forces, private organizations etc. Many of those organizations try very hard to recruit and attract African-Americans, but the organizations don’t own the entire process to hire or bring them on board. Ohio State, on the other hand, owns the ENTIRE PROCESS. They hand select each and every incoming student – every last one. Yet, they purposefully select students that do not “represent the community” – a demand that the same professors and administrators demand from every other organization in America. There is one reason, and one reason only why Ohio State doesn’t have a student population that reflects America’s diversity. It’s because they CHOOSE, 100% of their own volition, not admit the number of African Americans that would reflect that diversity. It was cited earlier that 84 Af-Am men were student-athletes in 2016. It was also mentioned that in 2016 only 9.2% of the Af-Am male population were student-athletes. I do not believe that there were 900+ Af-Am men on campus in 2016. Are we including Af-Am men from all campuses??? In this instance it would be better to focus strictly on Columbus Campus, since that is the campus identified by student-athletes (esp. football & basketball). In my estimation, almost 1/3 of Af-Am men on the Columbus Campus are athletes. This stereotype has followed me into my career. People hear that I graduated from OSU and they ask if I played a sport….Now as a faculty member at OSU, I’m asking all of my students (esp. Af-Am men) to not settle for infrequent attendance and mediocre performance – there is too much at stake!